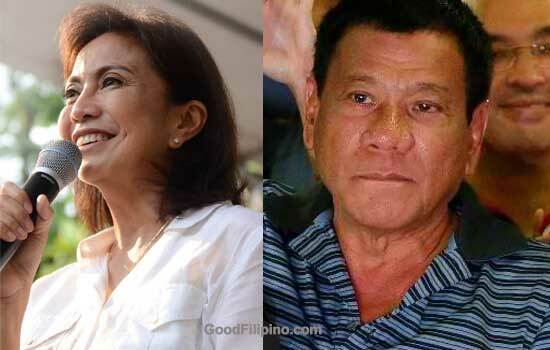 The presumptive vice president and the Camarines Sur Rep. Leni Robredo opposes the plan of presumptive President Rodrigo Duterte to revive the death penalty. She really don't like it and she is leaving the decision to lawmakers. Ever since she became a public servant, Leni didn't like to revive the death penalty in the country. But she admitted that the final decisions will be in the congress. She said,"Ako, ever since naman ipinahayag ko na kontra ako sa death penalty. Pero iyon kasing bagay na iyon hindi sa amin manggagaling pero ang pagbalik ng death penalty is all up to Congress." LP vice presidential front runner also said that the government should have 'creative solutions' to fight the drugs and crimes problem in the Philippines. Leni compared the Naga to other cities that has been successful in its drug campaign because of its Barangay Anti-Drug Abuse Council (Badac). She said, "Patuloy pa rin po ang paglaganap ng drugs kaya dapat mas maging creative na tayo maghanap ng solusyon,"
"Palagay ko po ang problema sa drugs, dapat iyong pagsugpo doon, hindi lamang pulis, hindi lamang probinsya, hindi lamang munisipyo o lungsod pero ang pinakamababa sa lipunan," as Leni explained. On the other hand, Leni Robredo denied the allegation that she asked her vice presidential rival, Senator Ferdinand "Bongbong" Marcos Jr., to concede. The issue raised when the former Commission on Elections (Comelec) Chairman Sixto Brillantes, called the congresswoman "presumptuous" as to be ready claiming the victory when Congress has yet to convene as a canvassing body. Leni said, "Wala namang ganoong statement. Nakita ko ang pahayag ni Chairman Brillantes na pinapa-concede daw namin si Senator Marcos. Hindi ko alam kung saan iyon nanggaling pero sa kampo namin, walang ganoon." What do you think on Leni's decision against death penalty? Please point out your thoughts in the comment section below. Comments or suggestions about "Leni Robredo against on Death Penalty: 'Kontra ako sa death penalty'" is important to us, you may share it by using the comment box below.